General Morrison concluded his appointment as Australia’s Chief of Army in May 2015. During a 36 year career as a soldier he saw operational service in Bougainville and East Timor and as an Australian Army Officer led troops from platoon level all the way up to three star General – Chief of Army. This is an appointment he held for the last four years of his service. His loyalty to his profession and outstanding performance was recognised by being made an Officer in the Order of Australia in 2010. 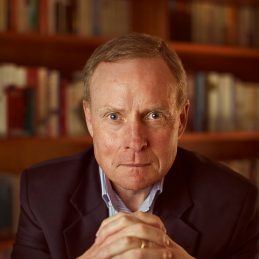 In his tenure at the top of Australia’s Army, David has faced many leadership challenges but he is probably best known for his strong public stance on gender equality and leading cultural change in large organisations. His three minute address, via video, to his workforce in the wake of a particular instance of poor behaviour by a group of officers and senior soldiers, was posted on YouTube and has had over 1.6 million views. He has spoken about diversity and culture to the United Nations International Women’s Day Conference in New York, and was a closing speaker, with Angelina Jolie, William Hague and John Kerry at the Global Summit to Prevent Sexual Violence in Military Conflict in London in 2014. David was Australian of the Year for 2016.